Ecliptic features the work of illustrator, graphics designer and multimedia artist Thü, former art director of the Swiss Macworld and Computerworld Magazines. 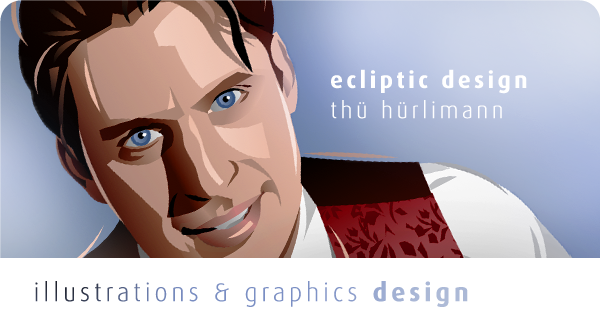 Through Ecliptic you can hire Thü to create art tailored to your specific needs. Creating Art since 1985, Thü has more then 20 years of experience in illustration and graphic designs, he founded Ecliptic in 1994 and in 2009 was the initial founder of the FreeFreeHand organisation. For work examples you may consult our Zugergrafik website. We also have an extensive catalogue of stock images online, specially for business and enterprise computing related themes, you can license for publication. Thü Graduated on the Academy Of Art (Hochschule für Gestaltung) Zürich. Since 1985 working as graphic designer and art director for advertising agencies, publishers und graphic studios, Thü offers a wide range of knowledge in illustration and graphic design. 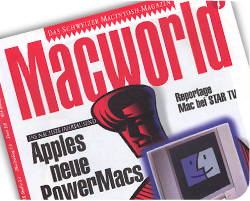 Working mainly on the Mac since 1987 and in 1995 already creating a 100% digitally produced 4-color magazine (including photography) as also incorporating animation and sound into webpages, Thü always liked to explore new technologies. Our stiles and technics including drawing, painting, photo manipulation and combination, computer graphics, infographics, printgraphics, publicity campaigns, logotype & corporate design, web design (since 1994), magazine layout, typography, illustration & animation in 2D & 3D, sounddesign & music composition. We use respectively the technic to fit to the job. 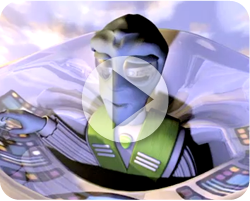 Short Encounter is a 1 minute 3D Animation Film completely made on our old 800MHz G4 Flatpanel iMac within 7 days. 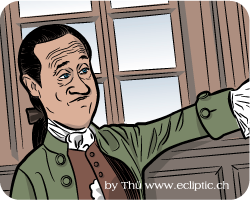 Caricature for 1776 the musical: Brent Spiner (Star Trek's Data) in his role as John Adams. Unlike on the photos, he wanted to be recognizable on the drawing. Macworld magazine graphics design. For more graphics design and illustrations examples visit Zugergrafik, my Swiss design company.